How Do I Restore my iPhone from iCloud? Data loss is a reality for any iPhone user and therefore backing up the data on your device is very important. 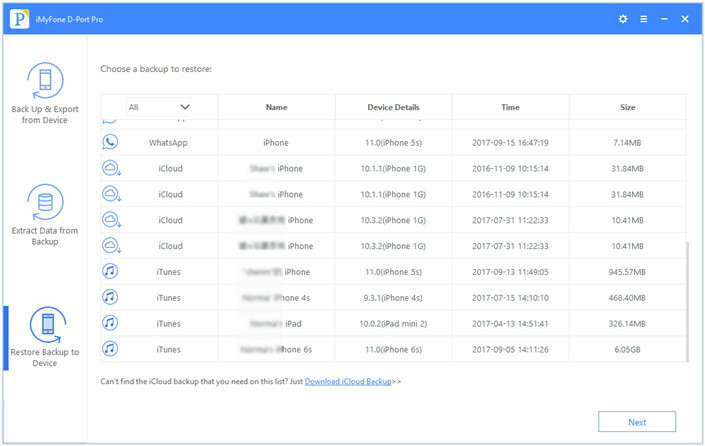 Luckily, iCloud makes it very easy for iPhone users to backup and restore their devices whenever they need to. In this article, we take a look at the process of restoring your iPhone from iCloud in various ways. But before we begin, let’s first describe the process of creating an iCloud backup. Part 2. How Do I Restore My iPhone from iCloud? 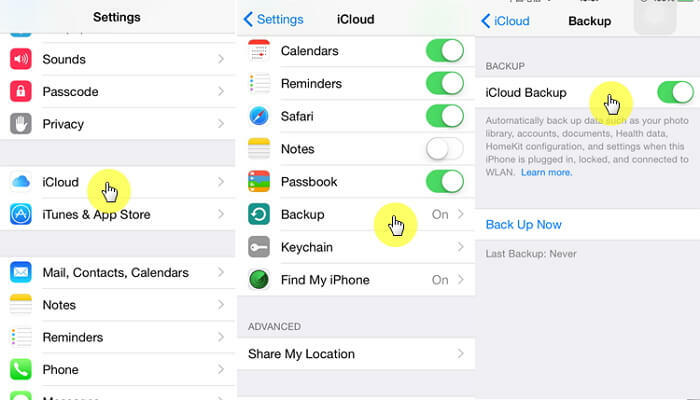 To back up your iPhone to iCloud, follow these simple steps. Should you ever need to, the following is a simple step by step process to restore the iCloud backup to your iPhone. Step 1: You will need to be on the set-up screen to restore the device. If the device is not new, you can get there by erasing all contents and settings. You can do that by going to Settings > General > Reset > Erase All Contents and Settings. 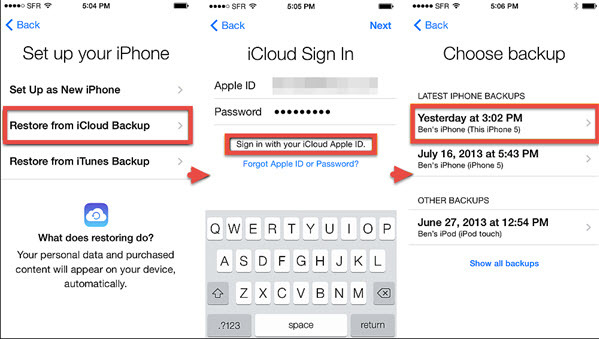 Step 3: Sign in to iCloud using the same ID you created the backup on. Step 4: The device will begin restoring the data on the iCloud backup you choose. The process can take up to 20 minutes. If you require more control on the backup and restore process, you can choose to use a backup and restore tool like iMyFone D-Port Pro. D-Port Pro comes equipped with all the necessary technology to help you easily and very quickly restore the backup to your device. Check out iMyFone D-Port Pro’s features. 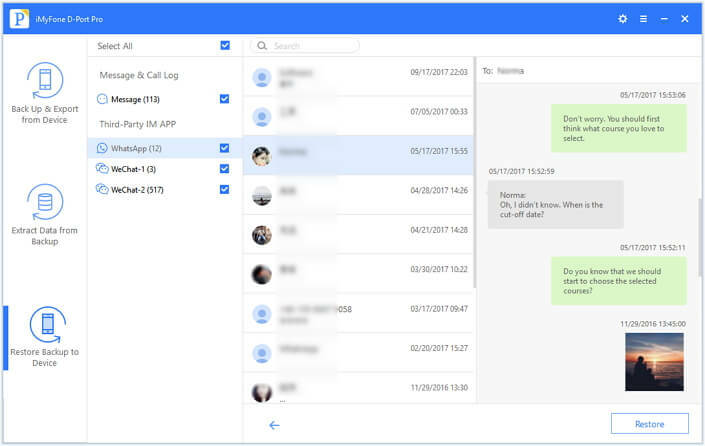 You can restore your WeChat, WhatsApp data and messages only as opposed to all the data on your device. Both the Backup and restore process can be done in a single click. It can also be used to accomplish a partial backup without overwriting the rest of the data on the device. It is also the ideal tool to export up to 20 different types of data from an iTunes or iCloud backup or even the iPhone itself. Download and install D-Port Pro to your computer and then follow these simple steps to restore your iCloud backup to iPhone. Step 2: Click “Next” and the program will begin downloading the iCloud backup file. It will then proceed to scan the backup for the selected types of data. 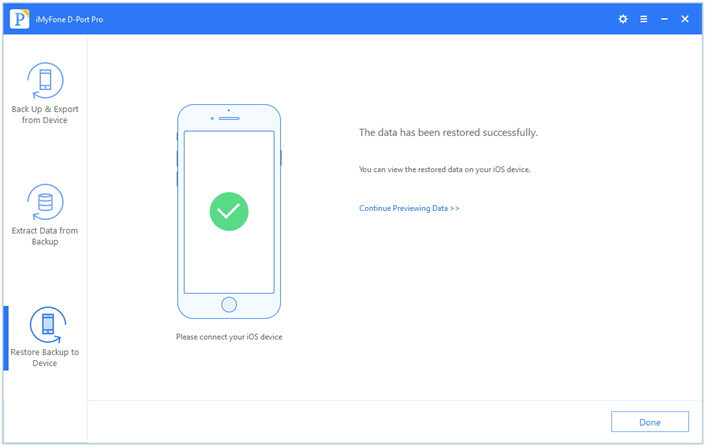 Step 3: Preview the data displayed in the next window and click “Restore” to restore the data to your iPhone.